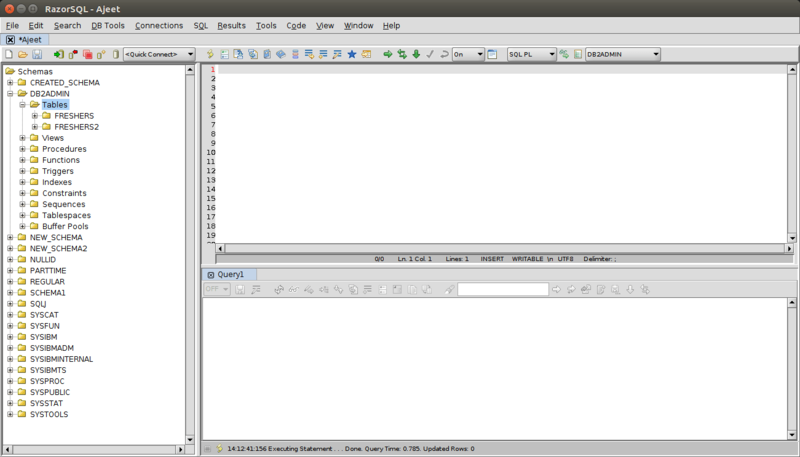 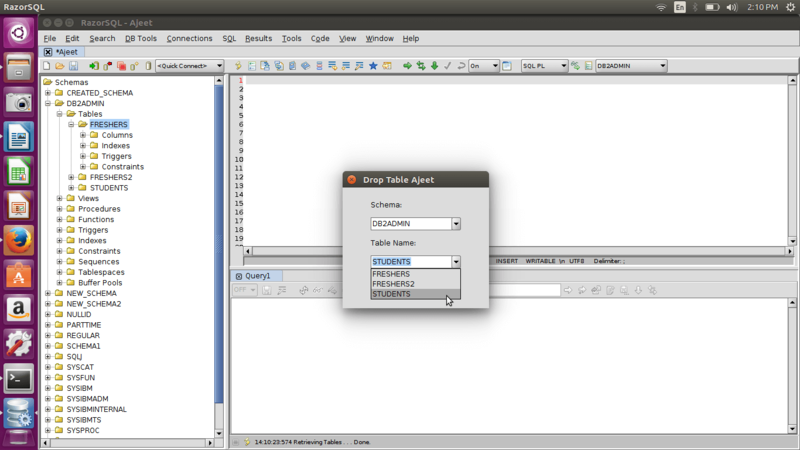 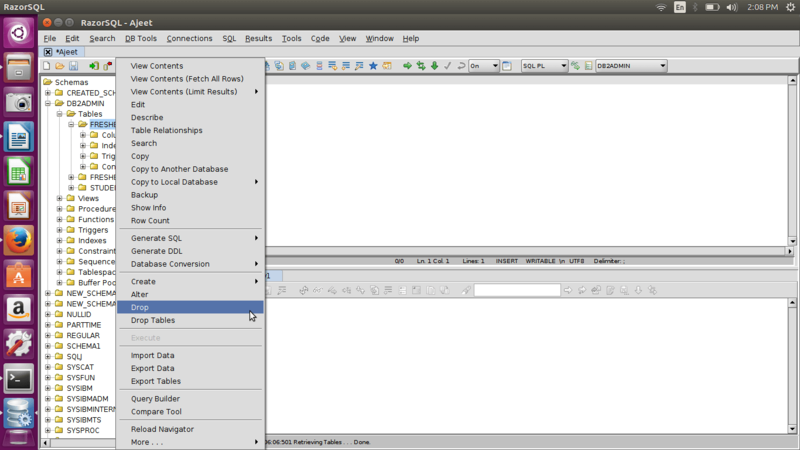 The Drop command is used to delete tables from databases and different schemas. 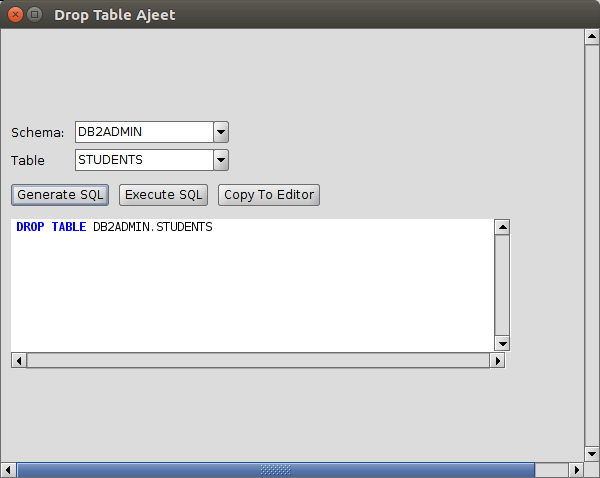 Let's drop the table "STUDENTS" from the DB2admin. You can see that table is not available in the list.